As the official kick-off date nears our numbers keep growing — we’re almost up to 50 KALers! Note: If you left a note asking to join and you’re not on the list please reply to this post. I’m so sorry but it means I somehow missed you! I got my Knitpicks yarn in this week and I’m very pleased. It’s going to be light and airy and wonderful as a more casual day-to-day type scarf. I’m hoping once I wrap it around a couple times it will even be casual enough to wear with a denim jacket. 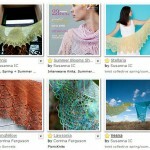 I’m not a frilly girl but I love knitting lace — if I can pull this off I’ll be thrilled! Julia left a comment that she thought there were beads in the shawl itself and that Rowan missed putting them in the pattern. Julia — I don’t see them in the pic in the magazine, but it’s a horrible pic so maybe I’m missing it. Can you let us know why you think there’s beads in the shawl? Hazel cast on and has also contacted Rowan about the possibility of beads being in the shawl itself. Last I heard she hasn’t received a reply yet. Once I hear back I’ll be sure to post it here so everyone knows. Jackie cast on this week and gave a rave review of the Pony Rosewood needles she’s using. Liz cast on for River and decided to use beads on the cast-on row. But since it’s 103 degrees out she’s decided to put it aside and wait for slightly cooler weather. I don’t blame you Liz! Update: Our first KALer is finished! Tracy is done! and it is gorgeous. It’s blocked and everything. Beautiful work, Tracy, and you finished in no time! Hazel finished her earlier this week. It’s gorgeous! Go on over and take a look. If you’re in the KAL and don’t have a blog, feel free to email me progress pics and I’ll post them with the regular update. We’d all love to see your progress too! I think I am joining and using KSH in Trance. I thought the beads were only on the second part of the shawl, the part that pulls it together and is worked separately, which you can see in the picture. I didn’t count how many are required for that part and how many the pattern specify when I looked at the pattern closely, however. 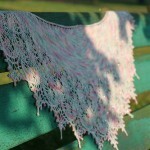 I got a reply from Rowan and they clarified that there is no bead on the shawl itself. I am now still at the third pattern repeat … hope to get more done in the coming week. I’m in! I’m also using Knipicks Alpaca Cloud, but have chosen the Autumn colorway. I cast on last week but was struggling with needle choices. I tried plastic circulars (Denise’s), Aluminum straights (Bates), and bamboo circs (Clover), and had various issues with each of them. Finally picked up some Clover bamboo straights, and I think these are the ticket. In all of that mess, I somehow made it through the first 10 or 11 rows. No pics yet, but soon. Thanks Jody for hosting us! This has nothing to do with the KAL, but it has everything to do with lace and Bryspun needles. I hear two things: that they’re crap, or that they’re wonderful for lace. The only shop that carries them around here is out in the burbs. Are they worth the trip? Agnes (& Rowan!) are right – there are no beads! (well, there are beads, but only on the scrunchy thing). I thought there were from the picture, but it was just artful blocking. Sorry! I meant to tell you I realized my mistake earlier. I would like to join the knitalong. I have started River in Pearl KSH. I’m on row 25. So far, so good. Only one mistake that got me unknitting several rows. I’m keeping very close track now, and I LOVE this pattern and yarn! My yarn arrived today. Kidsilk Haze Night in the Moonlight shade. I’ll probably start at the end of this week or early next week, as I must finish another shawl I’m workin gon first. Can’t wait to get going, as the yarn is just beautiful!!! I haven’t started but I have KSH in Liqueur from my swap with Dawn. Thanks for helping to facilitate that. Count me in, I’m using KSH in trance. I’m starting this weekend after I pick up the patten. 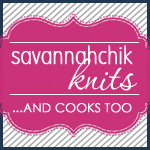 i’m with liz on not knitting KSH in high temps…it practically felts in your hands! Anyone who tells you that Bryspun’s are crap probably hasn’t really used them. I’ve been knitting for years, and although I am generally an addi girl for most projects, for lace, and particularly mohair, Bryspuns do the trick. They are inexpensive (well-priced is not synonymous with crap), and will run you about 1/2 what addis do. I have a full set, and I recommend them to my beginning knitters in classes. They’re easy on the hands (as far as straights go), have less grab than wood and more than addis. How’s that for an endorsement? Is it too late to join? I just got my Rowan 38 in the mail and I think I’m going to use the KSH that came with the gift to make River for my nana. I want to cast on rightnow, but I’m trying to force myself to get some of my other WIPs finished first. If it’s not too late, I’d like to join as well. I’m intruigued by using the alpaca/silk laceweight from Knitpicks, I’ve got some in my stash in some great blues. Hi Jody, I’ve now blocked my River on my return from a few days away. Photo of blocked version and beaded knot on my blog along with some insights from a newbie to proper lace knitting on my experience particularly with the blocking! I’m starting River today. My first lace attempt! Looking forward to knitting along. I don’t have a blog for it but will send progress pics when I have some. News Flash from Brenda: Frogged 12 rows stitch-by-stitch because she did not look at knitting while frantically trying to finish River in time for trip to France in mid-October. Cried–a lot. Gathered composure and resumed knitting. Almost back to where she was. Lesson Learned: Do not only count stitches after knitting each row. LOOK AT KNITTING. Whew! Also, I am planning to use Swarovski beads for the knot. Has anyone used them?